Girls n Gadgets is proud to announce their partnership with Lady Geek TV. Lady Geek TV put smartphones through their paces to deliver the very best in mobile app content from across the App Map, covering iPhone, Android, Blackberry and Nokia apps. 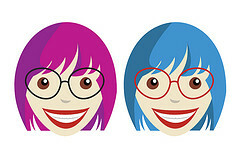 Become a fan on Facebook at www.facebook.com/ladygeektv or follow them on twitter @ladygeektv.